Even though Apple delayed its HomePod launch to next year, we’re still expecting the company to launch the all-powerful iMac Pro. 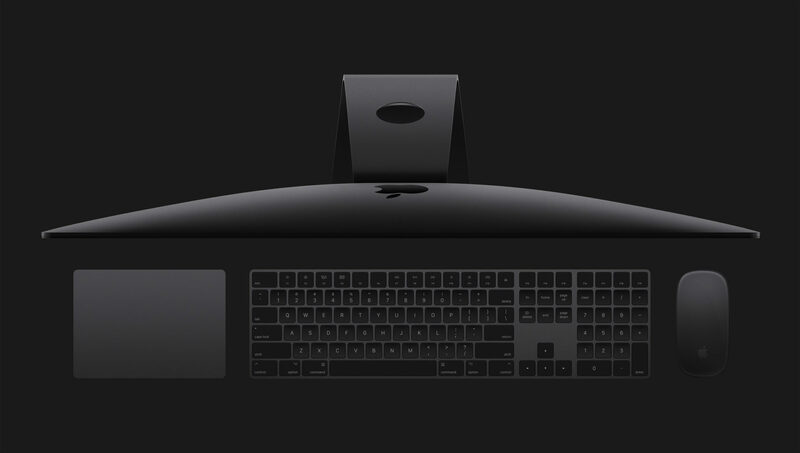 While the iMac Pro has seen minor leaks, there’s still a lot that we do not know about it. However, a few tidbits have emerged, complements to Johnathan Levin and Steve Troughton-Smith. regarding the forthcoming iMac Pro. As per the information through the BridgeOS 2.0 software from Apple, the iMac Pro will integrate an ARM coprocessor in the shape of the A10 Fusion chip. So what would it be used for in a Mac? Developer notes that the chip could be used for an always-on “Hey Siri” feature. So let’s dive in to see some more details on the matter. An A10 Fusion chip inside the iMac Pro will make it the first Mac to add the company’s A-series chip. According to Troughton-Smith, the A10 Fusion chip would allow “Apple experiment with tighter control” of macOS. He further points that the inclusion of an A10 Fusion chip in the iMac Pro could also be used for an always-on “Hey Siri” mode. This is a feature which has not been part of macOS as of now. Troughton-Smith further elaborates that even if the iMac Pro is completely shut off, the chip would still function. This is not the first time that we’re hearing of an added ARM coprocessor in the iMac Pro. We have previously covered that there is a possibility of Apple adding a coprocessor to go with. Today’s news confirms the previous rumors so that’s basically a plus. In addition to this, there was also news that Apple was in works to add a new ARM-based chipset for the MacBook Pro. The function of the chip would be to handle low-power tasks which are currently dependant on processors from Intel. At this point in time, Apple does include an ARM-based chip in its MacBooks called the T1. This chip is responsible for Touch Bar and Touch ID. Henceforth, it’s good that Apple is bringing an ARm-based chipset to the iMac. Apart from this, there will be more doors open in the future to make use of the chipset’s abilities. So what are your thoughts on the A10 Fusion chip coming to the Mac? Do you think Apple will launch the iMac Pro by the end of this year or delay it just like it did with the HomePod? Share your views with us in the comments.